There are a few things on your list that contribute to pull force but not to neck tension. Completely different matters and testing will always show this. 2 missing are shoulder angle, and whether sizing length is specifically beyond seated bullet bearing. 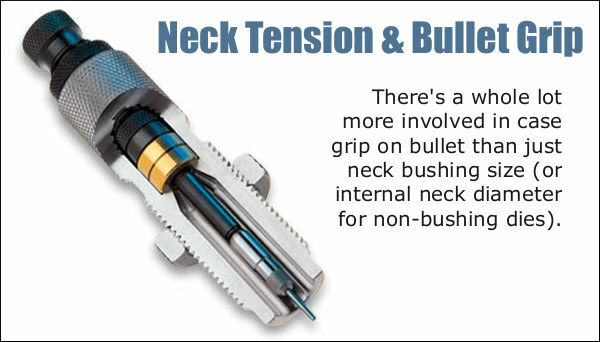 I remain curious about how major or minor the force required pass the neck is, relative to engraving, or even compressing the entire bearing length, and pushing the long for caliber bullet down the bore. I envision throwing a fastball at the back of a dragster as the light turns green, physics says I speed up its run, but measurably so?